The Toyota Camry has been the best-selling car in America for 12 years running, and the fantastic 2017 model continues to outpace rivals like the 2017 Honda Accord. Few vehicles so dominate their segment like the Camry and the Accord, but the Camry consistently pulls ahead in terms of driving enjoyment, comfort features, and onboard technologies. It’s safe to say that won’t be changed anytime soon. A family sedan needs to stay fun to drive whether you’re taking your morning commute, handling the school run, or going on a cross-country trip, and it needs to accomplish that without pushing efficiency scores too high. 2.5L Four-Cylinder: Generates an impressive 178-hp and 170 lb.-ft. of torque as standard. Six-speed automatic transmission allows you to achieve up to 25 mpg in the city and 35 mpg on the highway*. 3.5L V6: Upgrading to the V6 means having up to 268-hp and 248 lb.-ft. of torque at your disposal. Mileage remains strong at 21 mpg in the city and 30 mpg on the highway. 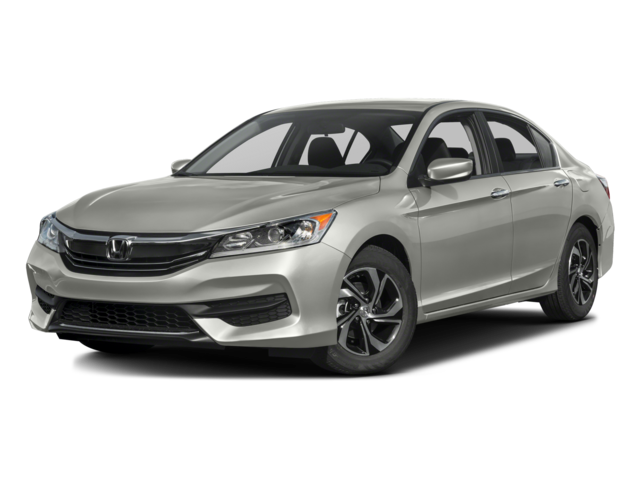 The 2017 Honda Accord offers a four-cylinder and V6 of its own, but neither produces quite the same lively performance and fun attitude delivered by the Camry; the Accord simply doesn’t boast the same kind of world-class engineering. To smooth out air resistance, eliminate wind noise, and maximize efficiency, the Camry places small vortex generators along the body. For enhanced agility and greater high-speed control, the Camry adopts a wide, commanding stance. For precision steering, the Camry utilizes optimized Electric Power Steering (EPS). Those technologies combine to make a significant difference. Eight-Way Power Driver Seat: Look forward to adjusting your seat along 8 separate planes of motion, with two-way power lumbar adjustment to boot. The Accord’s standard manual driver’s seat doesn’t feel nearly as supportive. 60/40 Split-Folding Rear Seatbacks: Versatility should be the name of the game for a vehicle so geared around the changing needs of the modern family, so the Camry, unlike the Accord, offers folding rear seats as standard to let you boost your cargo capacity in seconds. 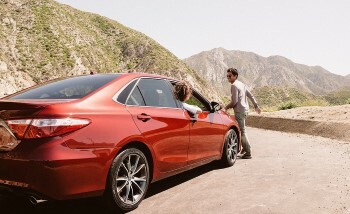 The Camry continues to impress as you climb its selection of trim levels. The spacious cabin features rich wood-grain-style accents to ensure a first-class appearance, and the whole interior benefits from advanced sound-proofing technology to separate your ride from the hustle and bustle of the outside world. 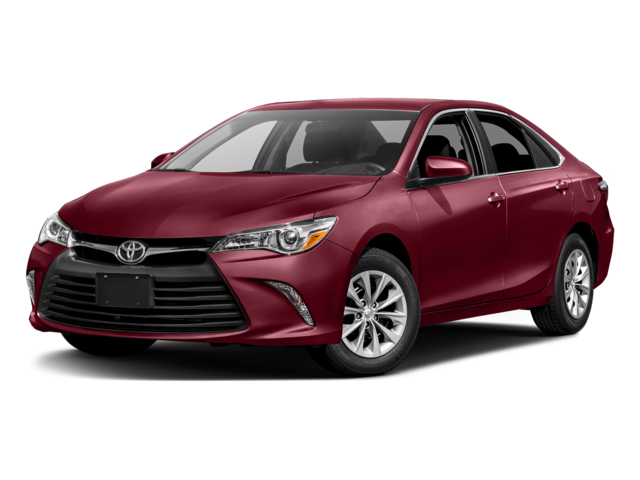 The 2017 Toyota Camry matches its generous selection of standard comfort features with a number of premium technologies across even entry-level models, including keyless entry, a six-speaker sound system, and voice activated controls. You should probably know the score by now: The Accord offers none of those amenities as standard. Wireless Charging: Our smartphones are used throughout the day, so the threat of a dead battery isn’t one we like to contemplate. Of course, you can always place the device on your Camry’s wireless charging platform to have it charge as you drive. Entune App Suite: The Entune App Suite makes it easy to access popular apps right on your touchscreen, so you can do anything from find a restaurant in Santa Ana with OpenTable to check shopping in Culver City with Yelp. JBL GreenEdge Audio: Ten speakers are placed across key locations, with a subwoofer and amplifier delivering phenomenal power. Whiplash-Injury-Lessening (WIL): Yield in a controlled fashion in the event of a crash to help prevent the risk of neck injuries. Safety Connect: Emergency Assistance, Stolen Vehicle Locator, Roadside Assistance and Automatic Collision Notification come via Toyota’s 24/7 call center. The 2017 Honda Accord is a spectacular sedan, so it takes the very best to beat it. 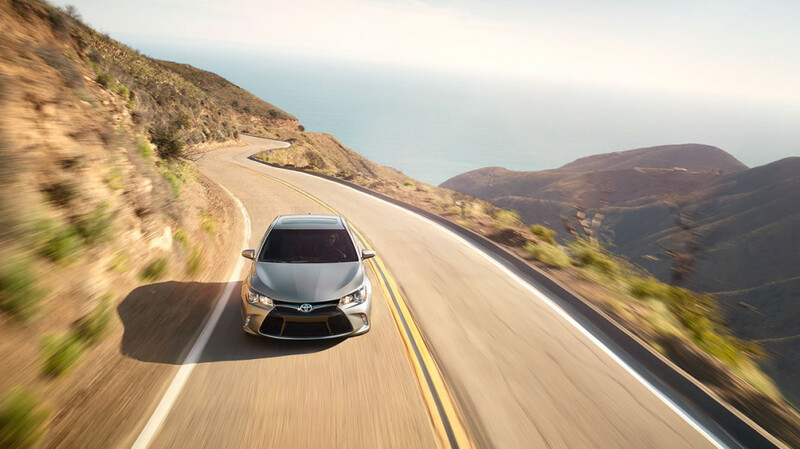 If you want to understand just why the Camry continues to outpace every other car on the road, feel free to visit Marina Del Rey Toyota to arrange a test drive.